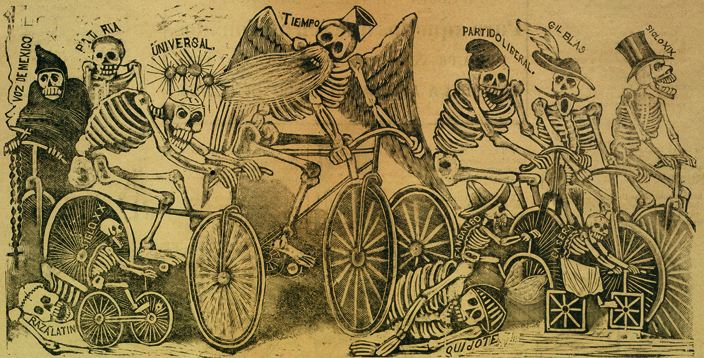 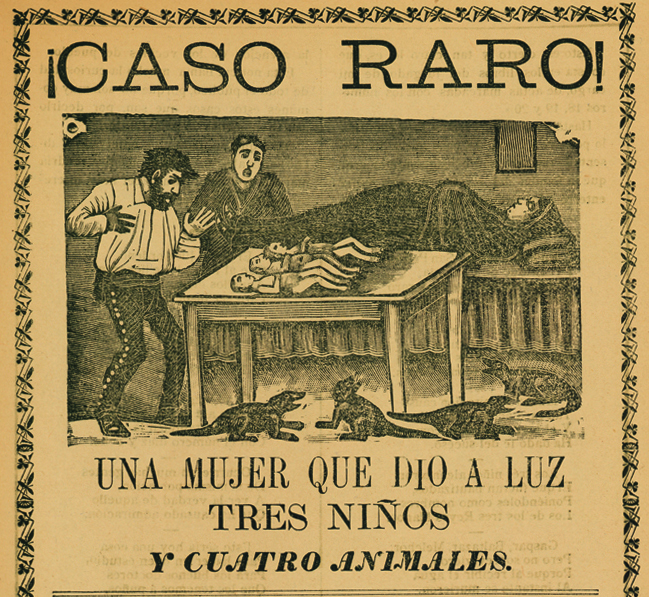 José Guadalupe Posada (1852–1913) was one of Mexico’s most influential political printmakers and cartoonists. 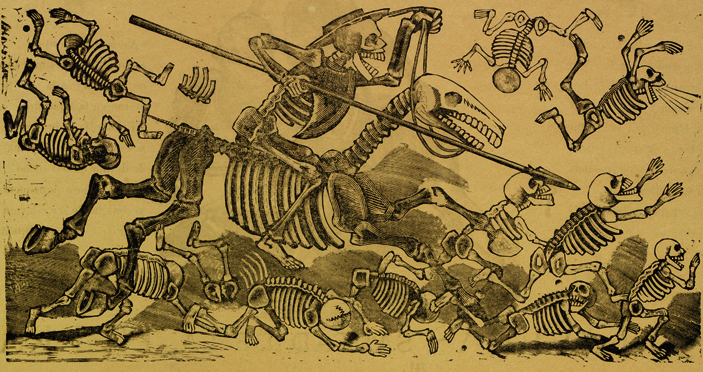 Posada produced an extensive body of imagery, from illustrations for children’s games to sensationalistic news stories. 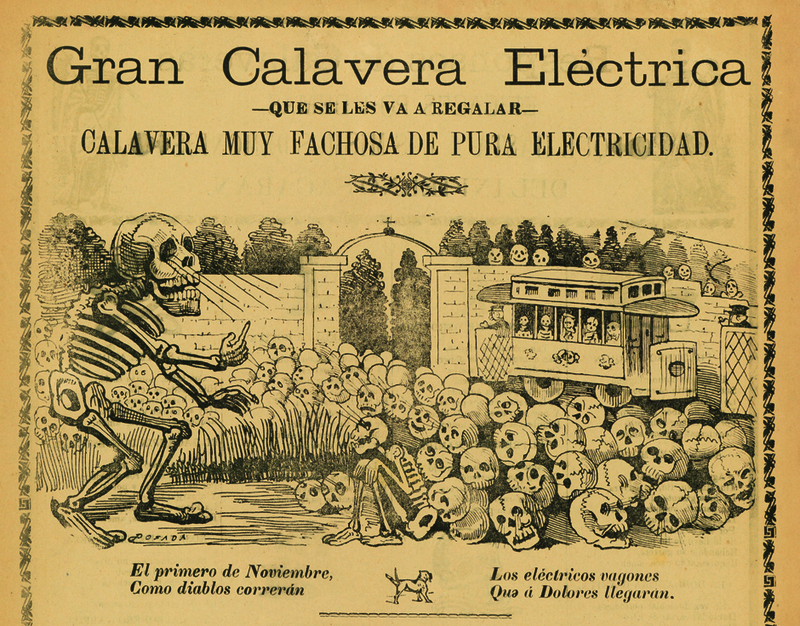 He is best known, however, for his popular and satirical representations of calaveras (skeletons) in lively guises, who have become associated with the Día de los Muertos (Day of the Dead) celebrations. 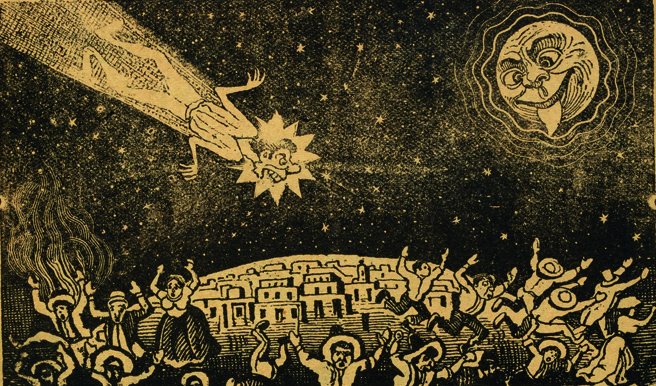 Posada’s prints shaped generations of Mexican artists including the muralists Diego Rivera and José Clemente Orozco. 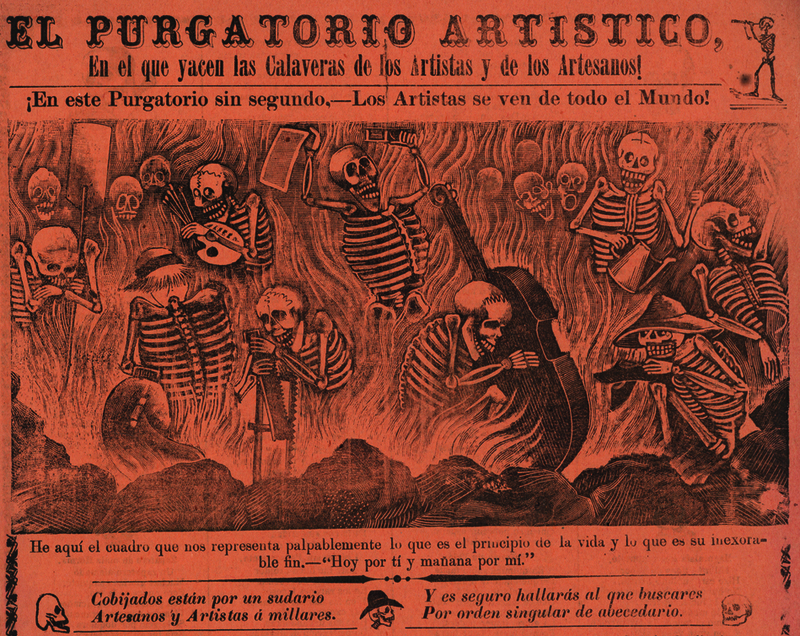 This exhibition features a wide range of prints and print media including calaveras, chapbooks, political prints, devotional images, and representations of natural disasters and popular events. 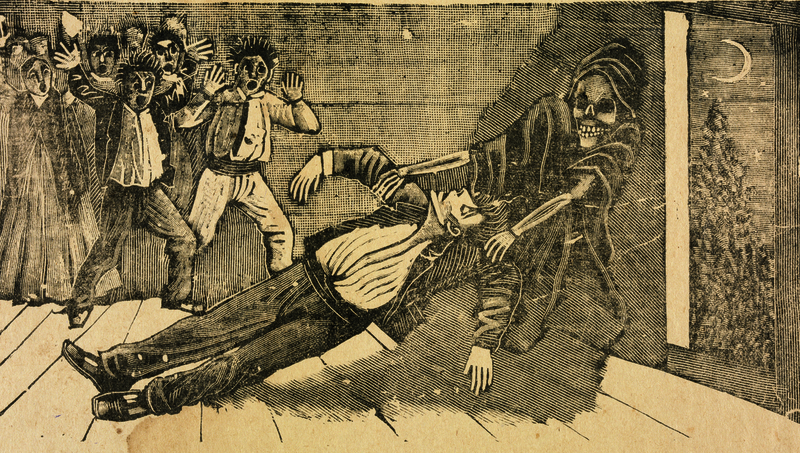 The works for this exhibition are generously on loan from David Sellers P ’06. 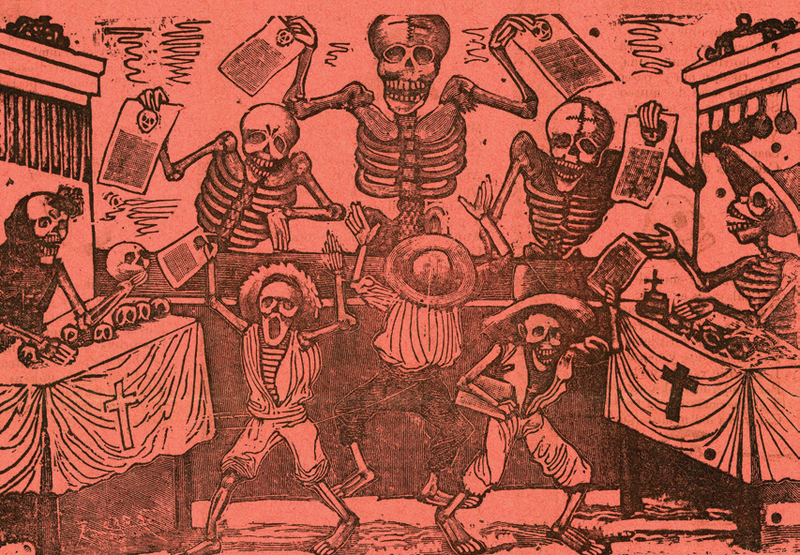 Diane Miliotes, guest curator of the exhibition and specialist of Latin American Art, will present a free public lecture on the art of Posada and his place in the late nineteenth- and early twentieth-century popular penny print culture in Mexico. 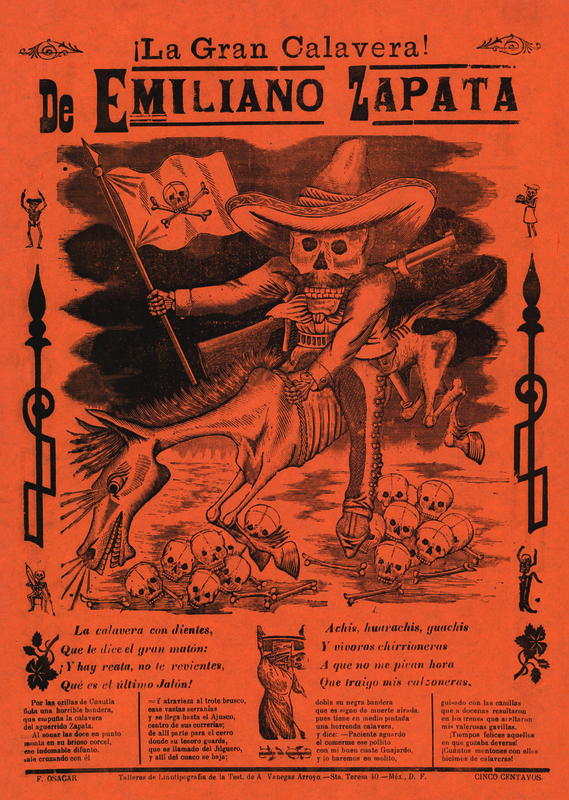 Her publications include José Guadalupe Posada and the Mexican Broadside (2006), José Clemente Orozco in the United States, 1927–1934 (2002),and What May Come: The Taller de Grafica Popular and the Mexican Political Print (2014). 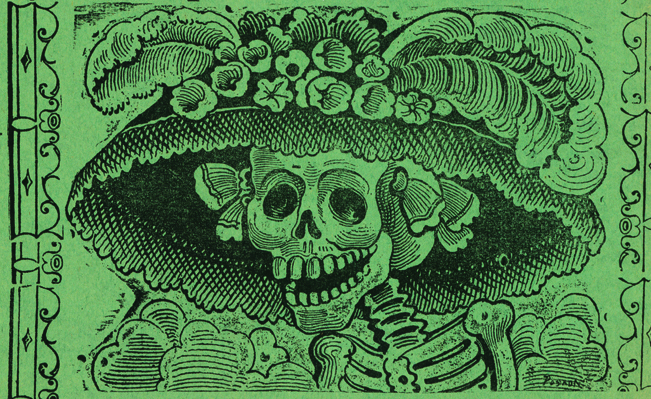 Miliotes is Interim Curator of Modern Art and Design at the Smart Museum of Art, The University of Chicago.